HBO Europe has ordered Spanish non-fiction series The Pioneer based on politician, football mogul and property tycoon Jesús Gil. Produced by JWP, directed by Enric Bach and scripted by Bach and Justin Webster, The Pioneer (El Pionero) explores the colourful life of the divisive figure over four one-hour episodes, through archive images, never-seen-before personal material and exclusive interviews with key people who were close to him. The series will premiere simultaneously across all HBO Europe territories. Gil, a controversial, eccentric and deeply irreverent character, knew how to connect with people and was adored by the Spanish media, yet he constantly defied the law and was pursued for years by the judiciary, who eventually intervened in Atlético de Madrid – the football club he presided over as president for 16 years – and disqualified Gil as mayor of Marbella. The Pioneer provokes viewers to question why we are seduced by certain individuals in the media. Bach is producer and writer for the title, as well as director. He began collaborating with Barcelona-based production company JWP in 2015, after seven years as chief editor on national weekly news show Salvados. In 2011 he directed his first documentary feature, Dimache à Brazzaville, which was awarded with 11 international prizes. He was co-producer and co-writer of the non-fiction series Muerte en León. Executive producers for HBO Europe are Miguel Salvat and Hanka Kastelicová. 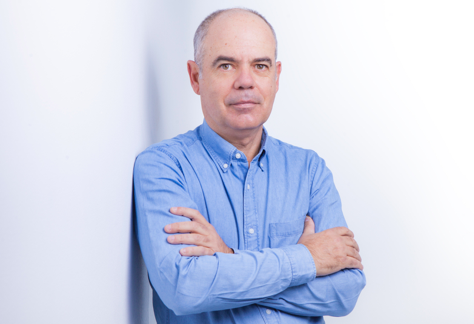 Miguel Salvat (pictured), commissioning editor of original programming, of HBO España, added: “The Pioneer is a great opportunity to see our society today through a unique character that seduced an entire country for years and that still remains in everyone’s minds.